We seek to admit a diverse group of men and women who are academically well qualified, possess self-discipline, and have a demonstrated motivation to succeed. Welcome to the Howard University School of Law. New and continuing students should check this Web site regularly because it will be used frequently to communicate with you regarding announcements, helpful advice, scheduling matters, law school requirements, and other important information. Of course, some things here will never change. The faculty and administration of the Howard University School of Law remain as committed as ever to providing its students with the finest legal education available and to preparing the next generation of leaders. Led by a visionary dean, we have an exceptionally talented faculty and student body, and thousands of alumni who are already making significant contributions to the legal profession and to their communities all across the nation. I invite you to visit us often, through the Internet and in person if you can. 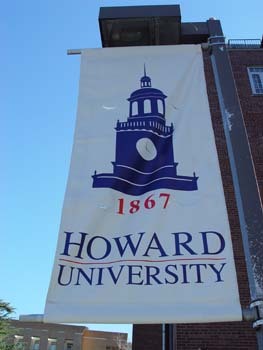 Thanks for visiting, and welcome to the Howard University School of Law.